Does Nike make Diabetic Shoes? Tips on Athletic Shoes for Diabetes – Blog on What are the Best Medicare-Approved Diabetic Shoe Brands? Michelle on Deadline to Order Diabetic Shoes within Medicare’s “Calendar Year” is Weeks Away! Lucinda Haywood on Deadline to Order Diabetic Shoes within Medicare’s “Calendar Year” is Weeks Away! 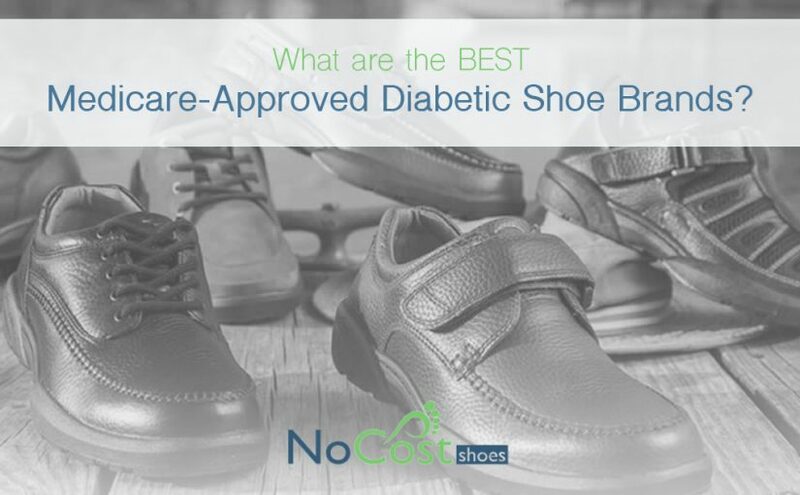 No Cost Shoes staff on What are the Best Medicare-Approved Diabetic Shoe Brands? Martha on What are the Best Medicare-Approved Diabetic Shoe Brands? When someone is diagnosed with diabetes, the next step is typically to support that person in learning diabetes self-management. Managing diabetes often requires an individual to take on several new rituals including glucose testing, dietary changes, an exercise regime, and medical exams. But what happens someone has difficulty learning or maintaining these tasks? There are many reasons this might be the case, but one of the most common among aging Americans is dementia. 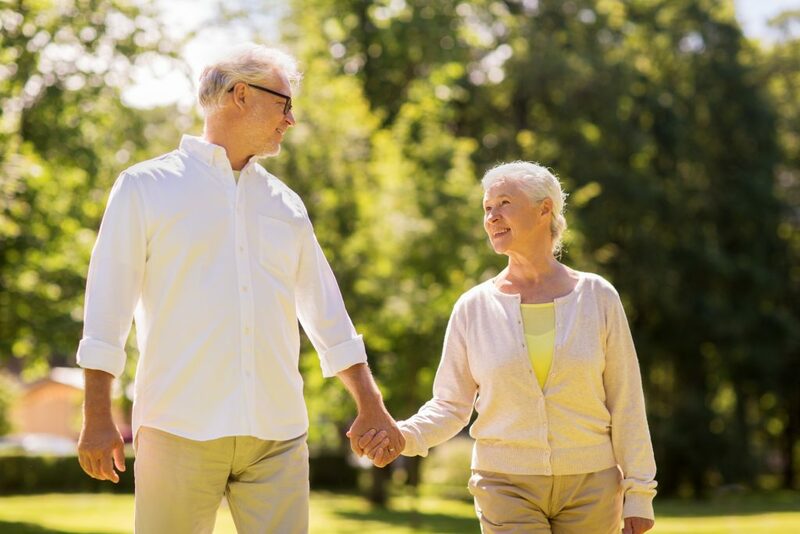 Instances of both diabetes and dementia increase as people age, so it is no surprise that many families across the country are trying to support their loved ones’ diabetic needs while also dealing with changing cognitive abilities. Here are some tips for how to help care for an individual with both diabetes and dementia. 1) Learn the specifics of their diabetes and dementia. Both diabetes and dementia can carry varying levels of intensity and care requirements. For example, some people with diabetes need to inject insulin regularly, while others can use pills. Similarly, there are different stages and types of dementia. Knowing where your loved one fits in on these continuums will help you to understand what kind of support is needed. Ask permission to join your loved one in doctor’s appointments, to review their meeting notes, or to speak with a family doctor on their behalf. If your loved one has a later stage dementia, the individual with medical power of attorney should be able to access and share any necessary details. 2) Help them to keep appointments. 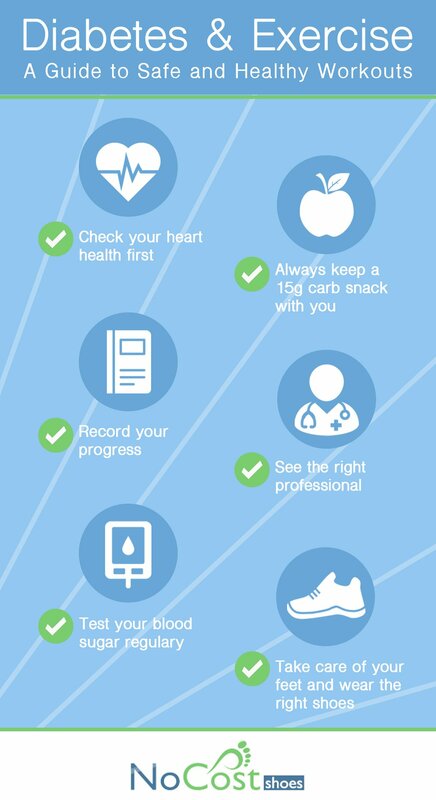 Preventative care is a must for managing diabetes. Mark down important dates and times and help them to arrange for transportation to each medical appointment. This includes visits to the family doctor as well as the optometrist, podiatrist, and any other relevant specialists. 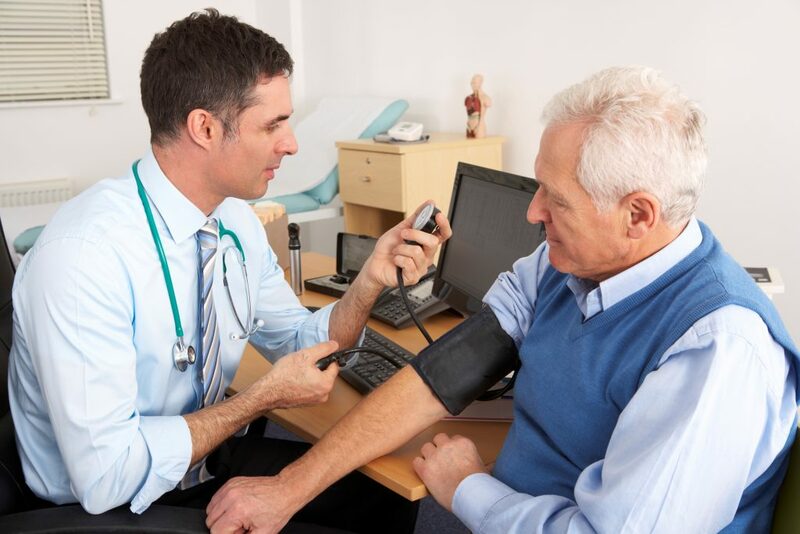 These medical professionals can help to keep the diabetes controlled as well as providing insight into how your loved one is progressing with their care. 3) Recognize potential barriers to a diabetes-friendly diet. There are several aspects of dementia that could make diabetes self-management a challenge, particularly when it comes to proper nutrition. A recent publication for diabetes nurses clarified the most common. Memory problems: Forget to eat meals or forget that they have already eaten. Agnosia: May not recognise food, cutlery, or even those caring for them. Dysphasia: Unable to say they are hungry or feel “hypo” (have low blood glucose). Dysphagia: Problems chewing and swallowing. Dyspraxia: Can impair people’s ability to prepare food and to use utensils. Depending on which combination of these challenges a loved on is experiencing, you may be able to apply different solutions. Typically, this will involve supervision of some kind related to meals. This can range from preparing meals ahead of time to physically feeding the individual, with the understanding that needs can change over time. Try to be solution-oriented if a loved one is struggling with any of the above issues, as nutrition should be a priority for anyone with diabetes. 4) Regularly examine their feet and provide them with therapeutic shoes. People with diabetes are at high risk for amputation due to nerve damage in the feet. This means that even a small foot injury can become serious for your loved ones’ lower extremities. Like most risks associated with diabetes, prevention is the best course of action when it comes to diabetic foot care. When you visit your loved one, take the time to check each foot swelling, bruising, redness, blisters, or other issues. Nerve damage can make it difficult or impossible for people to identify these injuries themselves, and dementia may make it even more difficult for them to communicate discomfort. Additionally, be sure to provide your loved one with the proper shoes for their daily activities. 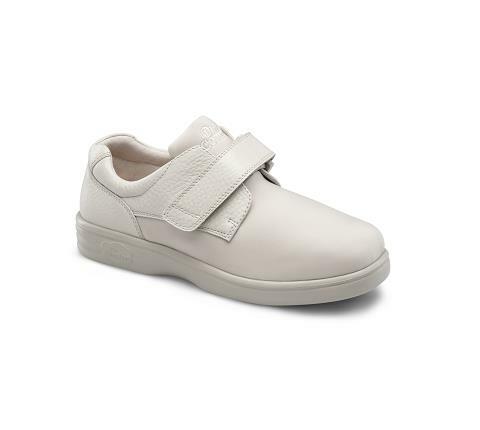 Therapeutic shoes and inserts are covered by Medicare for many people with diabetes, so all you need to do after speaking with a doctor is to order this preventative tool from nocostshoes.com. 5) Support a consistent routine. For those in earlier (stage 1 and 2) dementia, this can also include the keeping of memory journals and alarms for prompting. However, even those further along in their dementia will often remember daily tasks if they are repeated on a daily basis in an orderly fashion. Even if this does not help them to remember per se, it may make them more trusting and calm when it comes to less comfortable parts of diabetes management, such as glucose testing. Consider the need for relative consistency when making appointments and coordinating visits to ensure they stay on track with their daily program. Multiple support systems should come together help people to live the healthiest possible lives. This includes family & friends, case managers, nursing home staff and/or home care workers, and various medical professionals. 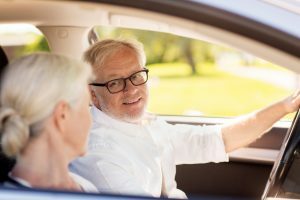 Most professionals who deal with aging patients are familiar with the intersection of these two conditions. Working with individuals, clinics, and suppliers who understand these unique circumstances can help those dealing with both diabetes and dementia access the support they need. 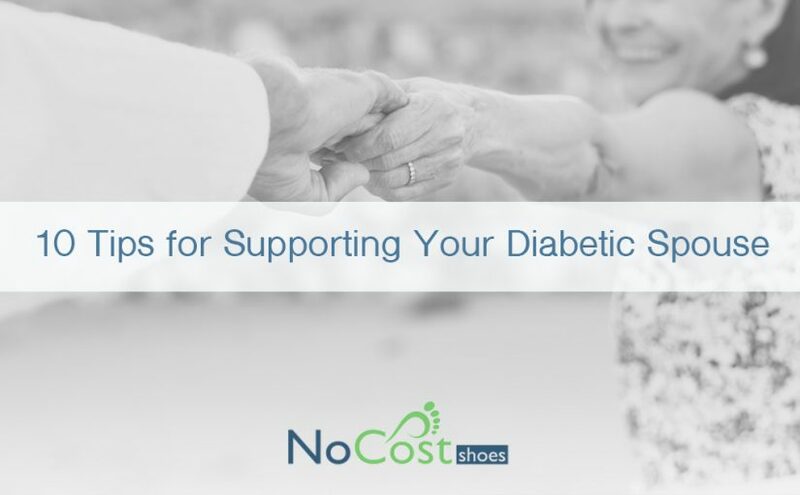 At nocostshoes.com, we hear from caregivers often and often support them in getting Medicare coverage and diabetic shoe fittings for their loved ones. For more information, please visit nocostshoes.com or call us at 1-866-923-2423. Diabetes management plans often include many different elements: monitoring blood pressure, adjusting diet, and protecting feet to name a few. Medicare and most insurance plans respond to these needs by covering health services for people with diabetes. Combined with coverage for medical equipment (such as diabetic shoes) and medications, regular appointments with these professionals can make a big difference for diabetes management. Here are the 5 professionals that are worth adding to any diabetes care plan. 1) Your family doctor (MD). We started with this professional because they are the absolute foundation of any diabetes treatment plan. According to Cleveland Clinic, insulin-dependent people with diabetes should see their doctors at least once every 3-4 months, while once every 5-6 months will usually suffice for those treated by pills. Making the most of these appointments is critical. Something that seems small, such as mild foot pain or lower stamina, could be serious when diabetes is involved. To ensure your bases are covered, provide your doctor with all detailed information they may need at each appointment. This includes recent glucose readings, dietary or exercise changes, and reports of any pain or health challenges (however mild they may seem). If your doctor recommends any durable medical equipment to help with your diabetes management, such as diabetic shoes or a continuous glucose monitor, be sure to ask them about what paperwork you will need to submit for Medicare coverage. Suppliers like nocostshoes.com can also fax the necessary forms to your doctor prior to ordering, but it can help to bring this up at appointments as well. To understand why seeing an eye care specialist is important, look no further than the statistics on diabetes and eye disease. Diabetic retinopathy is the leading cause of blindness in U.S. adults. As of 2010, 7.69 million Americans had reported a case of diabetic retinopathy, a number which continues to steadily increase each year. 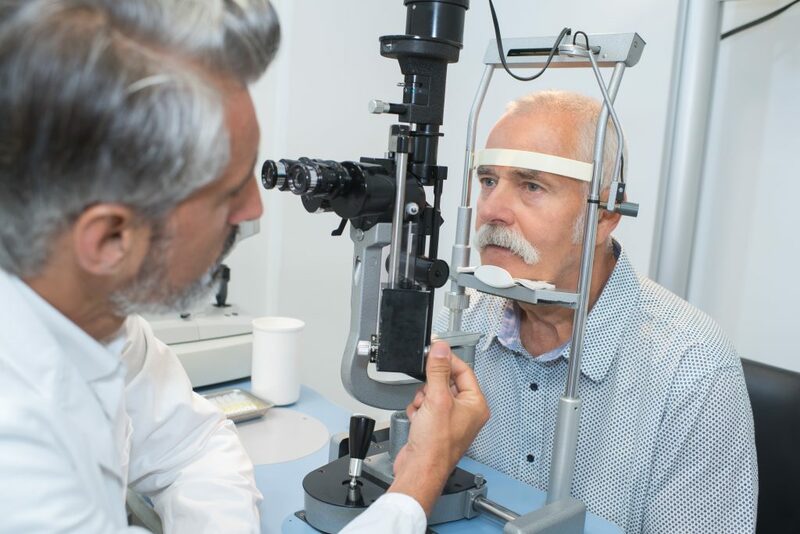 The functioning of eyes is greatly affected by the functioning of blood vessels – in fact, it is not uncommon for an optometrist to identify the first symptoms of diabetes. For this reason, Medicare covers annual diabetic retinopathy exams. Making and keeping these appointments is important in protecting eyesight for individuals who have diabetes. Serious foot issues and amputation is one of the lesser-known risks of diabetes, though ignoring it can lead to devastating consequences. With diabetic neuropathy, even small foot injuries can become quite serious over time. To prevent these extreme consequences, Medicare extends coverage for a foot exam once every six months to those with diabetes-related nerve damage. In addition, Medicare often covers diabetic shoes through nocostshoes.com for qualifying individuals. This care protects feet as well as improving your comfort and quality of life as you move through your day. Managing diabetes often requires significant life changes. Many of these changes must be managed by the individual with the diagnosis, which is why Diabetic Self- Management Training is such an important tool. In the first year, Medicare may cover up to one hour of individual training and up to nine hours of group training. Following that, 2 hours of follow-up training per year may be covered. This training must be conducted by a certified individual and be deemed necessary by your doctor in order for coverage to be offered. 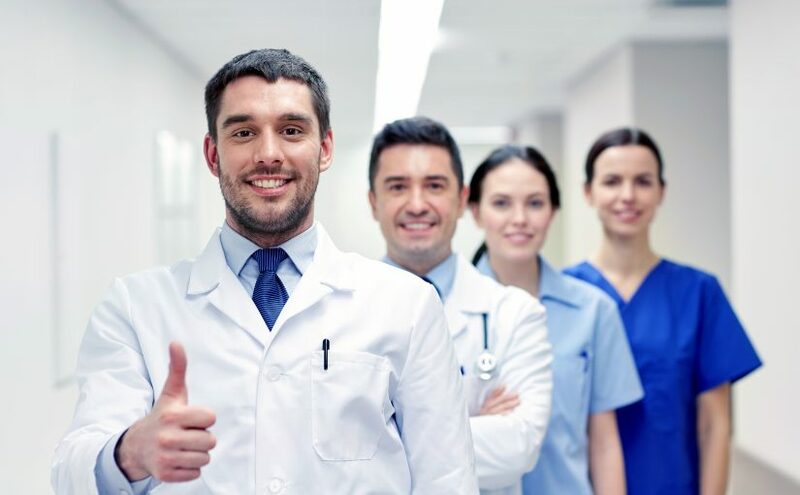 Fortunately, most doctors will deem DSMT a necessary service for their patients, especially those who struggle with some aspects of adapting to life with diabetes. The one-on-one training option is particularly helpful for those struggling with particular aspects of diabetes management. Along with diabetic self-management training, a dietician can help people understand how best to adapt their diet following a diabetes diagnosis. Since food is such an important aspect of diabetes management, Medicare has extended additional coverage to help those who need a registered dietician as they transition into this new lifestyle. 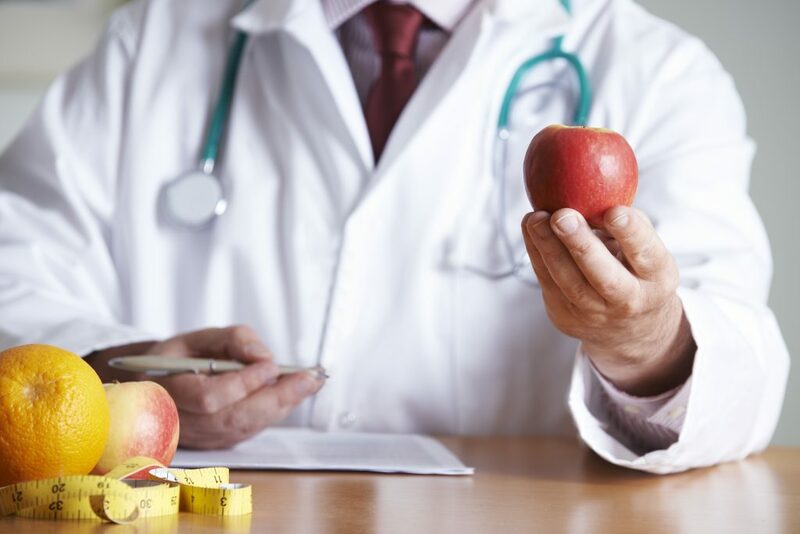 Depending on what is deemed “medically necessary” by your family doctor, this coverage could entitle you to a nutrition and lifestyle assessment, individual support and/or group nutrition therapy services, and follow-up appointments. A dietician can clarify the best eating choices for your health and educate you on proper nutrition to improve your health going forward. Need more support? Proper communication with your family doctor is the key. There are many different health care services and equipment that can help you to manage diabetes. Medicare or insurance coverage of these things is often contingent on your doctor filling out a Certificate of Medical Necessity. To determine what is medically required for your care, they need to have all the information in front of them. So, if you are struggling with diabetes self-care, eating changes, or foot/eye issues, be honest and let your doctor know! There are many things they can do to help you access additional care. For information on diabetic shoes and durable medical equipment covered by Medicare, visit nocostshoes.com. Swollen feet or edema can be extremely uncomfortable, especially for people who don’t have the right shoes. Luckily, therapeutic shoes specifically for individuals with swollen feet are available on the market right now. For those who are dealing with this issue as a result of diabetes, these specialty shoes are often covered by Medicare. Here is some information every person dealing with edema should know about caring for their feet. If you have swollen feet, chances are the issue stems from a buildup of fluid. Excess fluid will leak into tissues in and around the feet, causing swelling. There are many reasons this can happen. For example, pregnant women often deal with edema because they retain more fluid before giving birth. Medications can also set off edema, particularly those which impact blood vessels. It’s important for people to talk to their doctor about the reason they are dealing with swollen feet, as this can be a symptom of heart, kidney, or liver issues as well. People with diabetes are prone to edema for several reason. Firstly, diabetes medications like Actos and Avandia can impact the heart and bloodstream, which may cause blood vessels to leak fluid. Circulation and co-morbid heart issues are also a factor in not only causing swollen feet but also making it difficult to treat the issue. This is what makes finding the right shoes so essential for people with edema, especially when combined with diabetes, heart disease, or circulation issues. Therapeutic shoes designed for people with diabetes are a good fit for people with edema, even if they personally do not have diabetes themselves. The diabetic shoe market is very established, primarily because most insurance plans (including Medicare) cover the annual purchase of a pair as well as 3 sets of inserts. If you do have diabetes, this can mean your shoes will be low or no cost! If you do not, you can still benefit from the enormous strides in diabetic shoe technology to manage your edema. A reliable, accredited brand recognized by podiatrists and Medicare. Dr. Comfort is one of the most trusted therapeutic shoe brands on the market today. Among its wide selection you’ll find this Annie X shoe, which includes comfortable extra depth, gel inserts and a convenient velcro fastener. Designed with comfort in mind, it’s a great choice for people dealing with edema and other foot issues. Another shoe that comes with velcro convenience, these shoes are truly made for walking – even if you’re managing a foot issue. The high quality soles and custom fit make it easier to move around if you’re dealing with edema, making New Balance shoes a popular choice. Don’t like the velcro? Laces are also available for those who prefer! 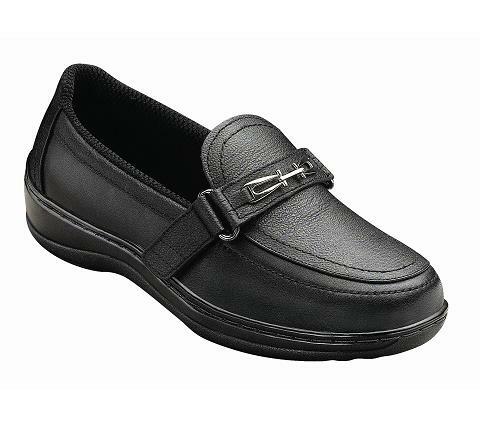 Need some edema-friendly shoes that fit more formal workplaces and occasions? Slip ons are a great choice in this case. Our shoe fitters will make sure this pair from Orthofeet are sized just right, so you can get them on painlessly and still enjoy a secure fit. The therapeutic inside of the shoe is smooth and comfortable, preventing blisters and keeping your feet safe as they heal. Where can I purchase therapeutic shoes for swollen feet and how much do they cost? Many people are eager to support their swollen feet, but aren’t sure where to start. For the best rates on therapeutic shoes, recommend purchasing shoes from a Medicare-approved supplier like No Cost Shoes. Medicare-approved suppliers tend to have a higher inventory of shoes so they can offer better prices and selection. For example, right now all our shoes are on sale for $99. This is significantly lower than the cost at a storefront or even an individual brand’s website. Medicare-approved suppliers like No Cost Shoes can also send a qualified shoe fitter to your home and help with any insurance claims as needed. Active individuals often look to popular sports brands when picking a pair of sneakers, so they may find it challenging to find the right diabetic shoe at first. Well-known brands are often a dead end for those whose feet require special care; for example, Nike diabetic shoes are not a widely available option for buyers across the United States. The question is, then, what options do exist for active people with diabetes looking to protect their foot health? As a Medicare-approved supplier carrying multiple therapeutic shoe brands, we know a thing or two about picking diabetic shoes for athletic activities. 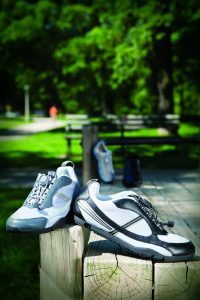 The purchase of a diabetic shoe is slightly different than that of a typical sports shoe, as they are custom-fitted and come with inserts for added support. For this reason, it’s a good idea to move beyond logos when picking your perfect pair. Do I really need diabetic shoes instead of “regular” athletic shoes? Foot health is a serious concern for people with diabetes – 60 percent of non-traumatic amputations in the United States each year involve diabetic patients, who often lose their feet as a result of diabetic neuropathy. One of the best ways to prevent these serious complications is to wear therapeutic shoes. This is such an effective preventative method that Medicare even covers them for many diabetics. People with diabetes are more likely to have hammertoes, bunions, corns, and fungal infections. Diabetic circulation and nerve issues make these issues difficult to treat, so avoiding them in the first place and/or treating them with care when they do occur is a must. Those who have foot issues combined with diabetes will be able to attain a Certificate of Medical Necessity (CMN) from their doctors. This will provide Medicare coverage for diabetic shoes. Even if they do not qualify a CMN, active people should consider purchasing a pair of diabetic athletic shoes as soon as possible after receiving a diabetes diagnosis. 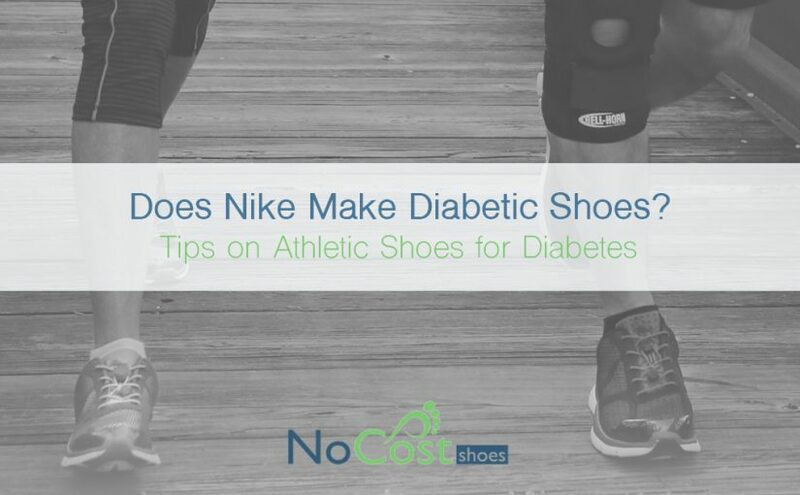 If purchased through the right channels, custom-fitted athletic shoes for people with diabetes are no more expensive than a pair of Nikes – in fact, No Cost Shoes (that’s us!) has all pairs on sale for $99 right now! What are the best diabetic athletic sneakers? Those who enjoy shoes from companies like Nike or Adidas often gravitate to New Balance due to the familiar brand name. New Balance is probably the most well-known brand to offer a line of therapeutic sneakers. Both velcro and laced options are available, and the design of many New Balance shoes are optimized for an active lifestyle. Just be careful to confirm that the New Balance shoe you are buying is Medicare-approved for diabetic care, since not all shoes from this brand carry this approval – to be sure of this, you can order your shoes directly from a diabetic shoe supplier like nocostshoes.com. We’ve been referring to an “active lifestyle” a lot in this article, but the reality is that this term can mean a lot of different things. For example, one person might enjoy hiking and camping while another may frequent the gym. One might be a runner, while the other prefers rock climbing. As any athlete knows, these activities are significantly more safe and fun with the right pair of shoes. Dr. Comfort is a great option for people seeking shoes that are “just right” for their favorite sport or physical activity. With multiple lines of Medicare-approved sneakers, hiking boots, gym shoes and more, many choose Dr. Comfort due to its wide range of options and styles. You can see their full lineup on our website here. Maybe the reason you were seeking Nike diabetic shoes wasn’t brand name or options, but style. In that case, Anodyne might be a good fit for you. 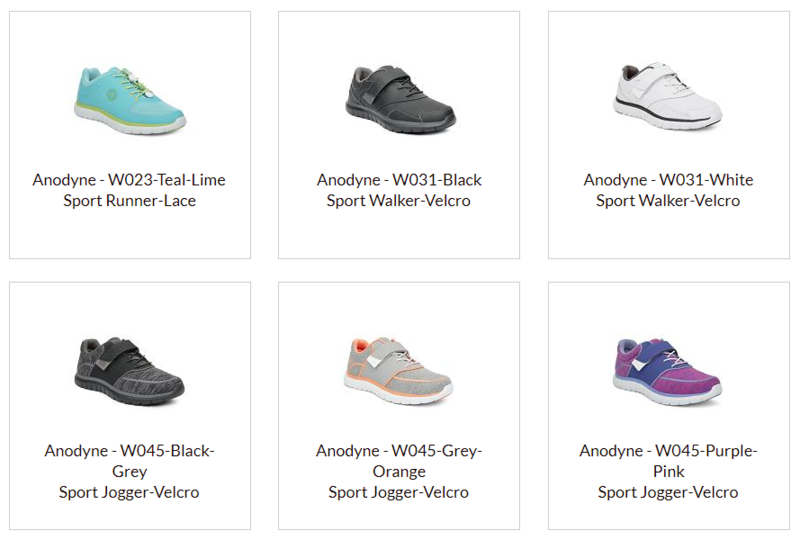 Anodyne’s sleek design in its Walker, Jogger, and Runner shoes have found a way to make velcro fasteners appear stylish, a welcome relief for style-conscious diabetic shoppers with limited mobility. They also offer Trail Boot options for hikers, as well as a few lace-up options for good measure. For shoppers aiming to combine comfort and style, Anodyne is a great option. See the full line-up of shoes here. We’ve written quite a bit about exercise and diabetes on our blog – it is an important topic, and one we are careful to educate people about as a supplier of diabetic shoes. For more tips on exercise and diabetes, we invite you to read our 6 Tips on Going to the Gym for Diabetics or to take a peek at our infographic below for a summary of our top advice for physical activity with diabetes. For more information about athletic diabetic shoes from nocostshoes.com, click here. It can be challenging to manage diabetes during holidays like Thanksgiving, Christmas, and New Years. 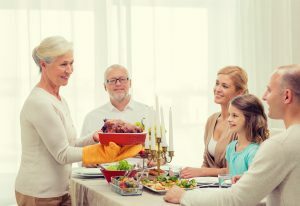 Special meals, often hosted by people with little understanding of diabetes management, are plentiful this time of year. On top of that, parties and visits often involve a lot of traveling, and packed schedules are not uncommon. Getting through the holidays with diabetes often requires a fair amount of preparation and thoughtfulness. Here are some great tips to help you in the pursuit of a fun and happy holiday season. 1) Set a portable alarm, such as one on a mobile phone, as a reminder for important medications and blood sugar testing. Busy and changing schedules can make it challenging to remember medication or blood sugar checks. One way to avoid this is to set an alarm on a mobile phone or other portable device. This added reminder will make it easier to maintain important scheduled activities on the go. 2) Better yet, automate blood sugar testing with a Continuous Glucose Monitor (CGM). CGMs can be extremely helpful during the holiday season because they automate blood sugar testing. CGMs are discreetly inserted under the skin and take regular glucose measurements on an ongoing basis. Since they alert the user to high and low glucose, they can be extremely handy for people on the go or who may be eating a bit differently during the holidays. CGMs are covered by Medicare for qualifying patients – click here for more information about ordering this helpful tool. 3) Plan ahead for how many sweets and treats you will consume. Getting to a party without a plan can often end in overindulgence. Be specific about what you are willing to “budget” for each holiday event – whether it’s a slice of grandma’s pie, a couple of chocolate goodies, or simply being conscientious of portion control. Those who are traveling to holiday parties with a close loved one, like a spouse or child, can share these “budgets” with their companion in order to better commit to the plan. 4) Offer to be the designated driver. Alcohol is high in sugar and often plentiful at holiday parties. Once again, people with diabetes should plan ahead to clarify how much they can drink within their management plan. Those who wish to steer clear altogether can offer to drive others to and from a holiday party. This will be a help to others, as well as making it easier to explain why one is not drinking should they be asked. 5) Use a napkin instead of a plate when picking up appetizers. Appetizers can sometimes be harder to manage than seated meals. It is easy to “lose track” of how much one has eaten while grazing on platters of meat, cheese, and goodies. One way to ensure smaller portion sizes is to gather favorite snacks (especially vegetables!) on a napkin. This will ensure smaller portions compared to piling food a plate, while still giving people with diabetes the ability to carefully select, gather, and track items. 6) Contribute a dish to shared holiday meals. 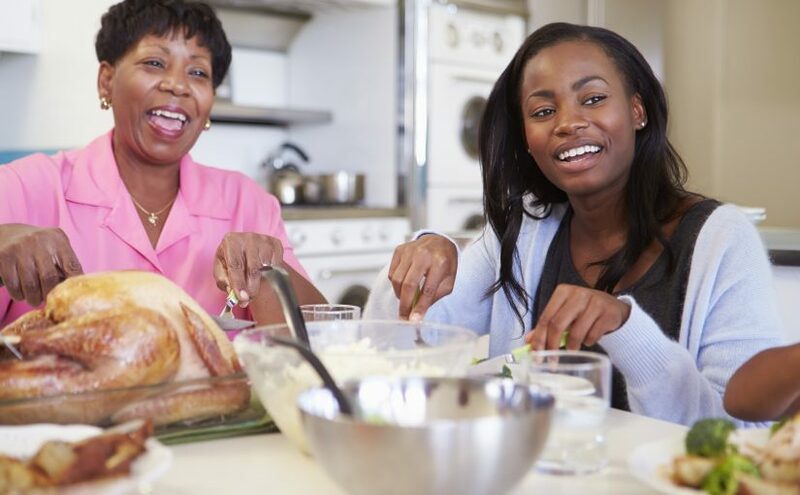 One of the biggest challenges for diabetes during the holidays is the mystery of how meals are prepared. How much sugar, butter, and oil is in this dish, exactly? While some families are not offended by the questioning, others might find it a faux pas to grill the host about their cooking methods. In these cases, people with diabetes can protect their health by contributing a healthy dish to the occasion. This ensures that there will be something on the table they can eat if the menu appears to be out of line with the diabetes management plan. 7) Wear the right shoes when going out. Foot injuries can lead to serious complications and even loss of limb in people with diabetes. This is why Medicare covers a pair of diabetic shoes and 3 sets of inserts for qualifying patients each year (click here for more information). Wearing the right shoes is important during the holidays. You never know who might have a loose step, icy driveway or uneven floor. Additionally, standing to chat or walking between events will often be expected. Whether you need winter-friendly boots or a nice pair of dress shoes for a church event, it’s a good idea to make sure a therapeutic pair is in the closet to match each occasion. Deadline to Order Diabetic Shoes within Medicare’s “Calendar Year” is Weeks Away! Important reminder: Qualifying people with diabetes only have a few weeks left to order shoes for Medicare/insurance coverage within the 2018 calendar year. Click here or call 1-866-923-2423 to fill out an application for coverage today. What does “calendar year” mean in Medicare or insurance terminology? When someone orders diabetic shoes covered by Medicare or insurance, they may see the term “CY” or “Calendar Year” listed beside the coverage (see below image). But, what does that really mean? In insurance and Medicare terminology, “calendar year” applies to the period between January and December of any given year. That means a covered individual can order one pair of shoes and three sets of inserts at any time in 2018, then again anytime in 2019, and again in 2020…any month within each year, as long as a doctor deems them medically necessary. This is slightly different than having shoes covered once every 12 months because it is less restrictive – a claimant does not necessarily have to wait 12 months to get their next pair, so long as they are in the next calendar year. For example, a person could order a pair of diabetic shoes in November 2018, then get another pair in March 2019, and get their next pair in January 2020. This provides some freedom for people order shoes when they need them, rather than having to make them last for 12 months each time. This is a good thing, because diabetics should wear their therapeutic shoes and inserts every day and may want new ones sooner than expected! Don’t leave a diabetic shoe order to the last minute – order before the end of November! Many people choose to order their diabetic shoes from nocostshoes.com at the end of the year. This can be strategic – those who get shoes in October or November have to wait less time to order their next pair of Medicare-covered shoes, since their coverage restarts again in January. Other times, it’s less about strategy and more the result of forgetting or putting off ordering until the end of the year. Whatever the reason, waiting until October or November to place an order is a common choice, but ordering any later than that may place the order in the next calendar year. Why? Because there are several steps required to obtain Medicare coverage, all of which need to be completed within the calendar year (in this case, 2018) in order to finalize the claim. For those who place an order for shoes after mid-December will have their order shipped and billed in January. As a result, their final Medicare claim will fall under the following calendar year. Book regular appointments with a family doctor and ask them to make a note of the need for shoes each year. To access diabetic shoes covered by Medicare and/or insurance, people with diabetes need paperwork filled out by their doctors. That’s why many people who need diabetic shoes ask their family doctor to make a note on their charts about the need for this equipment each year. People who need these shoes should already have regular appointments booked in advance, so it’s easy to ask the office to note that this appointment should involve discussion of diabetic shoes. Also, when noting the appointment in one’s own calendar, be sure to add a note about diabetic shoes. Order shoes right after a doctor’s appointment. Of course, a reminder from the doctor doesn’t mean much if it isn’t followed by action. Those who make a routine of ordering shoes right after a regular checkup each year may find it easier to remember this important order. Ask a podiatrist if it’s time for new shoes. Those who are better able to remember deadlines can also be strategic about their order by asking their podiatrist during a Medicare-covered appointment to whether their inserts/shoes are due for a replacement. If they say no, it may be wise to wait until later in the year (September – early November) to order shoes. If they say yes, of course, order them ASAP! Tell a few loved ones about the deadline. It might be tough to remember the application deadline on one’s own, but telling a spouse, caregiver, and children about it as well will increase the likelihood someone will remember. Write it down. Of course, the best advice is often the simplest – make a note in a calendar and stick to it! For those who do better with routine, picking a month each year to make an order is the best option. Posted on November 12, 2018 November 13, 2018 Categories Diabetic Shoes, inserts and orthotics, Tips for DiabeticsTags calendar year diabetic shoes, calendar year insurance, calendar year medicare, diabetic shoes deadline, diabetic shoes remember, medicare diabetic shoes, remember to order diabetic shoes2 Comments on Deadline to Order Diabetic Shoes within Medicare’s “Calendar Year” is Weeks Away! Medicare won’t cover my therapeutic shoes. Now what? 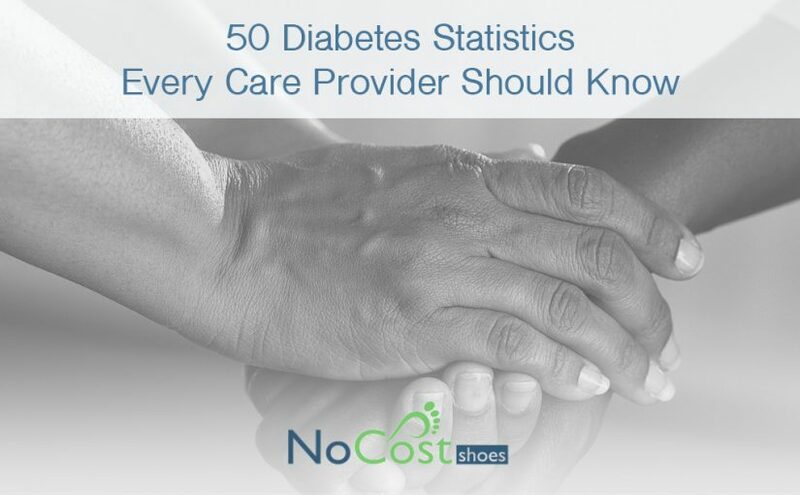 At No Cost Shoes, we’re often surprised by how many people are unaware of Medicare’s coverage of shoes for diabetic Americans. It’s a huge benefit, and one that can make a big difference in the lives of people with diabetes. But, as more people find out about this coverage, those who do not qualify have started asking: “What can I do if I want diabetic shoes and Medicare won’t cover them?” Luckily, there are a few steps you can take if you find that coverage is not available to you at this time. What are the Medicare requirements for diabetic shoe coverage? Some people have diabetes but are unaware if they have any foot condition. Others may have foot conditions but not be diabetic. For these individuals (many of whom can still benefit a great deal from diabetic shoes!) there are a few options. Tip #1: Visit a podiatrist to confirm whether you have any hidden foot issues. Although your family doctor is often the one filling out a CMN for your diabetic shoes, early warning signs of diabetic neuropathy and other foot conditions are most likely to be identified by a podiatrist. If you have diabetes, Medicare covers one foot exam every 6 months. Take advantage of this coverage and maintain regular appointments to stay on top of your foot health. If you have a hidden condition that may entitle you to free diabetic shoes, or if you develop one in the future, a podiatrist can identify the first signs. Tip #2: Look online for affordable diabetic shoes. Many people with and without diabetes who do not qualify for diabetic shoes covered by Medicare still benefit from therapeutic footwear a great deal. It can increase comfort and mobility, as well as playing an important role in preventing amputation and associated foot issues. However, the high-priced specialty shoes that a local medical supplier or podiatrist may sell can be out of the price range of someone without coverage. Online suppliers are a great option here. Even without coverage, you’ll want to look for a Medicare-approved supplier, such as nocostshoes.com, to ensure you are getting a high-quality product. 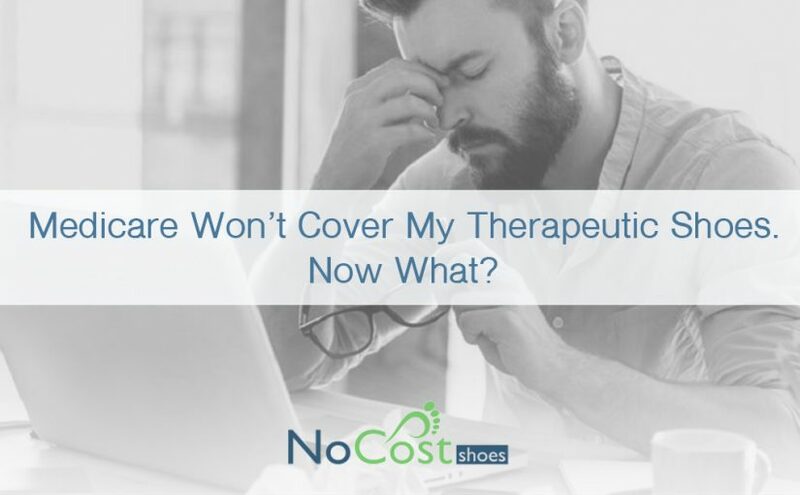 In our case, therapeutic shoes with specialty inserts cost only $99 online – much less than you would pay in a specialist’s office. Tip #3: Check your health insurance for additional coverage options. Some insurance companies cover orthotics for a wider range of patients, so it’s a good idea to have a closer look at your policy before paying out-of-pocket for your shoes. Contact your insurance company to clarify the conditions they may have for covering orthotics, therapeutic shoes, and other specialty items, particularly if a doctor recommends them. If you purchase your own insurance coverage instead of getting it through an employer, it can be helpful to “shop around” for a provider with a workable policy on durable medical equipment such as therapeutic shoes. These policies can also help cover the deductible for Medicare coverage, which can eliminate out-of-pocket cost if and when you do qualify for shoes. Additional questions? Give us a call! At No Cost Shoes, we are diabetic shoe experts. With direct billing options to both Medicare and insurance, we know exactly how coverage works. We can also offer great, affordable options to those who are not currently eligible for coverage. For more information, call us at 1-866-923-2423. You can also check your eligibility for coverage using our easy online portal here. Posted on November 5, 2018 October 31, 2018 Categories Diabetic ShoesTags cost of diabetic shoes, cost of therapeutic shoes, diabetic shoes insurance, diabetic shoes medicare, getting free diabetic shoes, how to buy diabetic shoes, insurance coverage diabetes, insurance diabetes, medicare diabetes, medicare therapeutic shoes, therapeutic shoesLeave a comment on Medicare won’t cover my therapeutic shoes. Now what? Caretakers, educators, doctors, students, and people with diabetes themselves are often curious about national diabetes statistics. So, we took a look at some of your common questions and provided the figures to answer each of them. We hope this will help you to better understand diabetes and its associated risks, costs, and treatments. How many Americans have Type 1 and 2 diabetes? 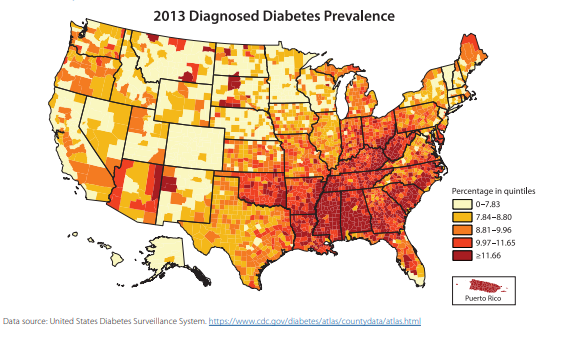 What is the prevelance of diabetes based on demographic details like age and race/ethnicity? The above figures and heat map are from the Center for Disease Control (CDC) National Diabetes Statistics Report, 2017. Prediabetes is determined based on a person’s fasting glucose or A1C level. When these levels are too high, a person is diagnosed with prediabetes. An estimated 33.9% of U.S. adults 18 and older have prediabetes (CDC, 2015). What are the reasons people diabetes are hospitalized? How often do hospitalizations occur? Note: to prevent foot or leg amuptation, it is recommended that people with diabetes take advantage of Medicare’s diabetic shoe coverage. Click here to learn more. How common is diabetic neuropathy and other foot-related issues? How much does diabetes cost Americans each year? In the U.S., 66% of costs related to diabetes are provided by government insurance (ie. Medicare, Medicaid, the military). (ADA, 2018)To see a list of all diabetic support products and services covered by Medicare, click here. To order diabetic shoes covered by Medicare, click here. Center for Disease Control (CDC). National Diabetes Statistics Report. 2017. American Diabetes Association. Economic Costs of Diabetes in the U.S. in 2017. Published by Diabetes Care, March 2018. The Foundation for Peripheral Neuropathy, Peripheral Neuropathy Risk Factors + Facts, accessed Oct. 2018. California Podiatric Medical Association, Facts of Diabetes and the Foot, accessed Oct. 2018. Diabetes is a challenging diagnosis that millions of families across the United States face each year. Why do we say “families” instead of “individuals”? Because the emotional toll, necessary lifestyle changes and possible side-effects of diabetes almost always influences lives outside of the person who gets the diagnosis. Additionally, loved ones play a critical role in helping people with diabetes live a full and happy life. Children, parents, siblings, and friends can all be an important part of a diabetes treatment plan. However, those who live and share their lives with a diabetic loved one – spouses, life partners, or significant others – often have the biggest impact on a diabetic partner’s health. Here are some tips for those who are supporting a diabetic spouse or partner. 1) Plan for date nights that don’t involve unhealthy food, sugary treats or questionable menus. For many couples, “quality time” and social activities often come with a menu – and usually not a very diabetes-friendly one! When date night rolls around, people with diabetes can feel torn between the wants of their partner and the need to follow a diabetes-friendly diet. A spouse or significant other can alleviate this stress by not putting their partner in a position where they have to choose between their health and fun dates. Instead, come up with shared activities that support the diabetic treatment plan. This can include active pastimes like bowling, golf, walks in the park, going to the theatre (skip the candy this time! ), dancing, card games, or sharing a healthy meal at home. 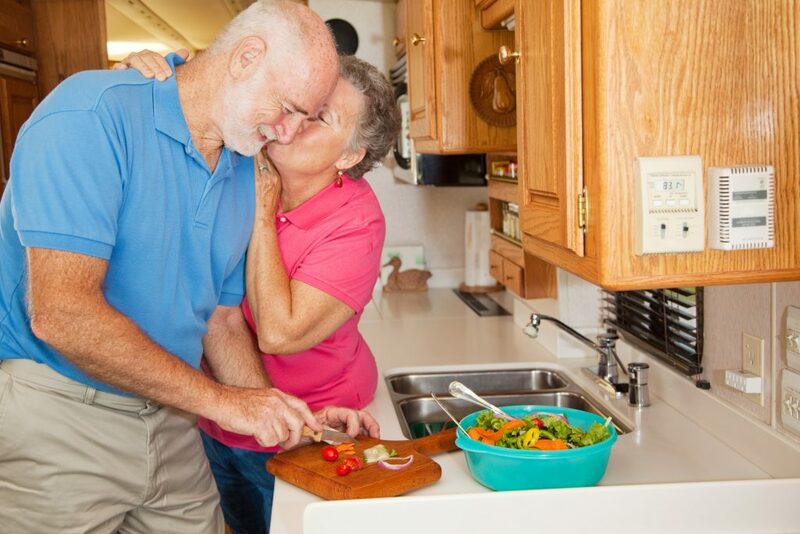 While it may be a change of pace for some couples, finding a couple shared activities that don’t lead to dietary difficulties is a good place to start when building a diabetes-friendly lifestyle. 2) Empower a diabetic loved one to take control of management tasks like blood sugar testing, regular appointments and, insulin taking. One mistake spouses can make is becoming too integrated into their partners’ treatment plans. While sometimes a third party does need to be responsible for things like testing blood sugar (for example, if a diabetic person has severe dementia), those who can manage their own health should be empowered to do so. That said, there is no harm in spouses keeping an eye out to make sure their partner is regularly checking their blood sugar and following doctor’s orders. After all, two heads are better than one! However, the goal should be to help the diabetic partner to manage things independently. For example, a spouse can ask if their partner checked his or her blood sugar, or remind them of appointments if it comes to mind – but they should also help put reminder systems in place like phone alarms and calendars to make sure their spouse has a handle on these daily tasks in the future. If a partner or any loved one notices consistent mismanagement of diabetes, the best course of action is to raise the issue with a person’s family doctor. Often, diabetes management training or tools like a continuous glucose monitor can help in these cases. 3) Support a diabetic spouse by joining in their lifestyle changes. One of the best things about a diabetic meal plan is that it can be a healthy change for anyone, even if they are not personally diabetic. While people without diabetes don’t need to be as strict about their eating habits, there’s no harm in eating better and moving more! People with diabetes will find the lifestyle changes a lot easier with their partner right by their side. Plus, it makes meal planning way easier when both people are eating the same thing. Learn about diabetes management, including glucose testing, dietary restrictions, and exercise. This will help you plan for daily life and even special trips that are safe and healthy for a diabetic spouse. Discuss issues related to feet and eye care with your doctors and specialists. Blindness and lost limbs are common side effects of diabetes, but they can often be prevented through the simple use of special care, regular appointments and diabetic shoes – all of which are covered by Medicare. Speaking of Medicare, it’s a good idea to learn all about what’s covered by family and government plans! We made a list of everything Medicare covers for Americans with diabetes, which you can check out here. At No Cost Shoes, many of the calls we get are from children and spouses seeking Medicare-covered shoes for their loved ones. Many can’t believe that Medicare covers shoes for Americans with foot issues and diabetes, but the realization can be a game-changer for families. To find out if you or your spouse qualify for shoes at no cost, fill out our online application or call us at 1-866-923-2423. 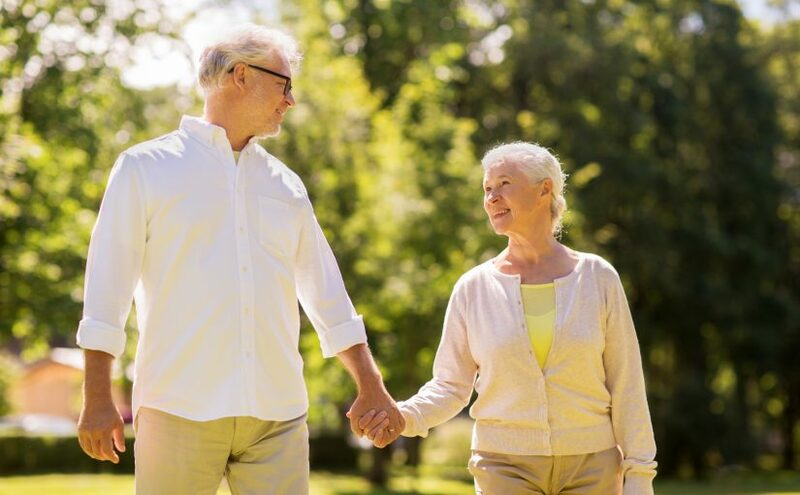 We are a Medicare-accredited supplier who helps thousands of families across the U.S. access the support they need to live a full and happy life together with therapeutic shoes, continuous glucose monitors, and other support aids. What are the Best Medicare-Approved Diabetic Shoe Brands? There are a lot of things to consider when buying diabetic shoes. Besides the usual considerations of style and comfort, Americans with diabetes should also be concerned with finding a pair that is covered under Medicare and/or private insurance. This means that shoes must be purchased from an approved supplier, be properly fitted, and be custom-molded by a reputable diabetic shoe brand. But, which companies are the most reputable in the diabetic shoe world? What are the best therapeutic shoes on the market right now? Those who are new to shopping for this kind of footwear may need some help finding a brand and look that works for them. Here is an introduction to the 7 most popular, Medicare-approved diabetic shoe brands on the market today. 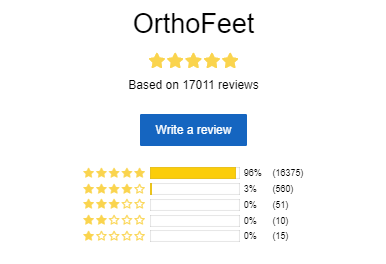 Orthofeet has earned its reputation as the #1 brand recommended by podiatrists. These shoes are all about medical technology, with pain relief at the forefront of their design. For who have multiple foot or pain issues alongside diabetes, Orthofeet’s scientifically-informed designs can make a huge difference in day-to-day comfort. Apex released its first therapeutic shoe, known as “the healing shoe,” in 1971. The comfort of “the healing shoe” appealed to both people with foot conditions and those without, prompting Apex to double down on manufacturing high-quality therapeutic shoes. 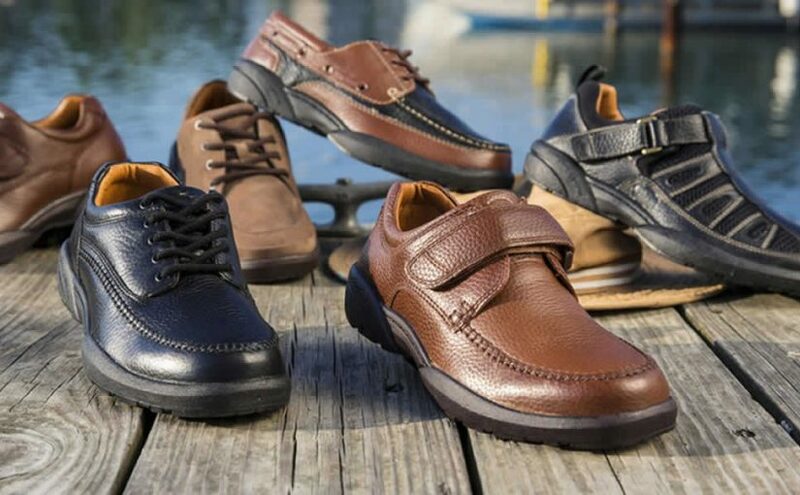 With a wide range of shoes of many styles and international distribution, Apex is a brand that continues to be trusted by consumers across the U.S.
Anodyne is one of the newest diabetic shoe brands on the market. 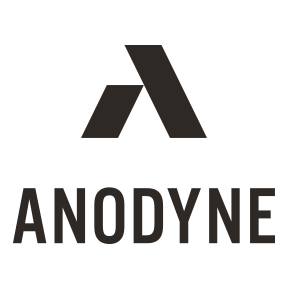 Launched in 2015 and based in Milwaukee, Wisconsin, Anodyne’s story is no doubt a fascinating one – launched by a former VP of Dr. Comfort, the company aims to add fashion-forward sleekness to the diabetic shoe market. Dr. 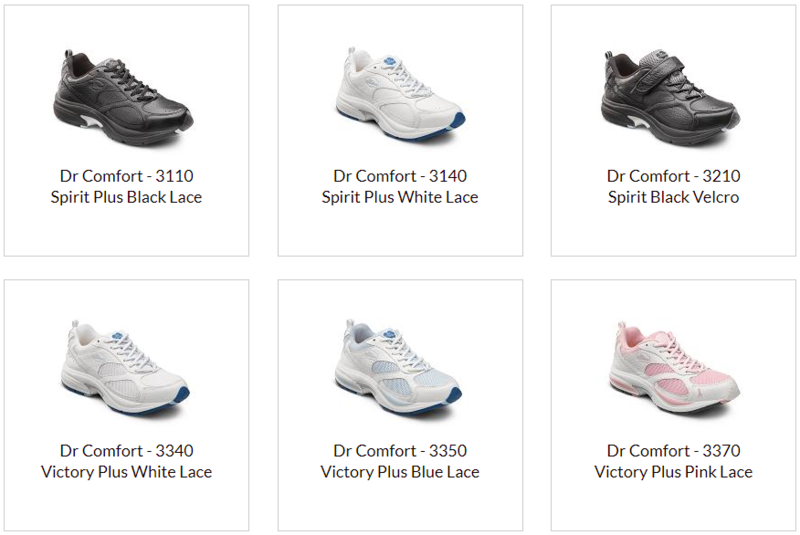 Comfort has earned its place as one of the most popular diabetic shoe brands. Founded in Mequon, Wisconsin in 2002, the company’s use of 3D technology has made it a particularly popular choice for custom inserts. Dr. Comfort’s wide range of styles and customization options has made it a podiatrist favorite. Who says you need to buy diabetic shoes from specialty brands? 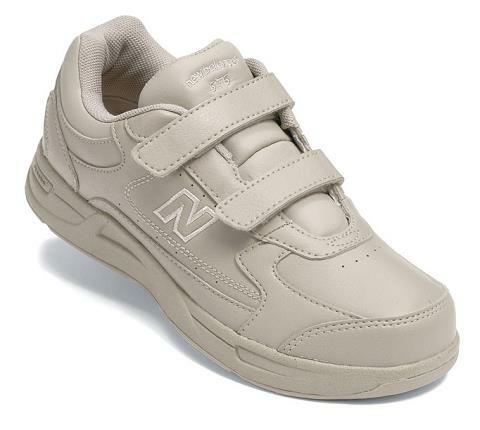 The well-known New Balance brand also offers Medicare-approved therapeutic options for fans of its athletic shoes. Simple and designed with activity in mind, New Balance offers diabetic shoes with both laces and velcro options. A word to the wise, however – since New Balance makes shoes for non-diabetics as well, be sure to double check with your diabetic shoe provider that the shoe you’re seeking is covered. Founded by a doctor in 2000, Surefit is a guaranteed safe bet when it comes to Medicare compliance. They seek to make great shoes accessible to medical professionals and patient alike, with several straight-forward and reliable designs that combine style, practicality and medical technology. Where to buy the best diabetic shoe brands? Has a wide distribution network, so they can provide the best price for any shoes you need to pay for out-of-pocket (for example, because of our U.S.-wide distribution and large inventory, all our shoes are all on sale for $99). No Cost Shoes checks these boxes and many more! We welcome you to order a color catalog of all the shoes we offer – with options from all the above-listed brands, you’re sure to find one you love! Posted on October 15, 2018 November 6, 2018 Categories Diabetic ShoesTags anodyne reviews, anodyne shoes, apex reviews, apex shoes, best diabetic shoe brands, best shoe brands, best therapeutic shoe brands, dr. comfort inserts, Dr. Comfort reviews, Dr. comfort shoes, new balance diabetic shoes, orthofeet reviews, orthofeet shoes, surefit5 Comments on What are the Best Medicare-Approved Diabetic Shoe Brands?